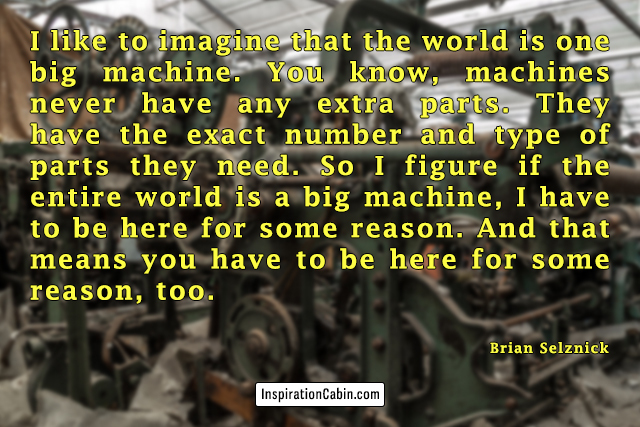 I like to imagine that the world is one big machine. You know, machines never have any extra parts. They have the exact number and type of parts they need. So I figure if the entire world is a big machine, I have to be here for some reason. And that means you have to be here for some reason, too.